Ne Obliviscaris have released a stream of their new album Urn exclusively with Prog. The album will launch tomorrow (October 27) but Prog readers can listen to all six tracks now. Frontman Tim Charles tells Prog: “Every time we head back into the studio it’s simply with the intention of being ourselves and challenging each of us in the band to continue to expand and enhance what we are capable of doing. The Australian outfit previously revealed the tracks Intra Venus and Urn (Part II) – As Embers Dance In Our Eyes. 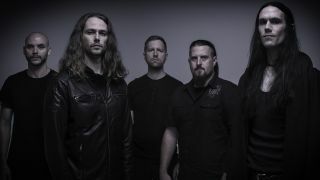 Ne Obliviscaris will head out on tour across Australia and New Zealand in February in support of Urn, which is available for pre-order. Find a list of their tour dates below, along with the album cover art and tracklist.